Preview of Android L Developer is available only for Nexus 7 and Nexus 5. But if you want to install it on any other android device and change your homescreen. You can do this very easily without installing any other custom rom or without rooting your android device. As the homescreen change you will see the new icons for your android device and this will work on any android device even if it is not rooted. 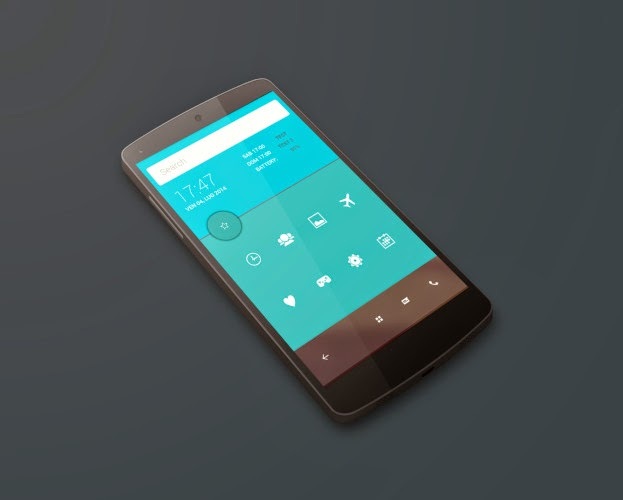 You just need to install themer app on your android device and make few changes to get it done. Now download the themer files.